click photo to enlarge The Mullin Museum is in the building that used to house the Otis Chandler collection. The Chandler collection was impressive but I have never experienced anything like the Mullin Collection. When Otis passed away in 2006 his cars were auctioned off and Peter Mullin obtained the building. 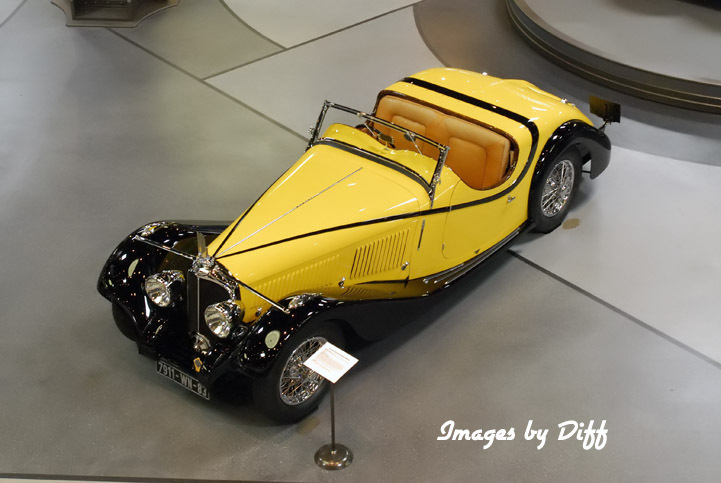 Before housing his Art Deco French cars he had the entire building remodeled in the art deco style. The building is absolutely beautiful inside. It is also done in a green fashion with lighting and solar panels on the roof. click photo to enlarge The collection is predominately the French Art Deco years featuring the best of the French curves. 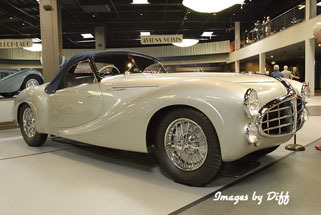 Many of the vehicles have won awards at concurs d'elegance around the world. The collection includes Bugattis, Delages, Delahayes,Talbot-Lagos and Voisins. 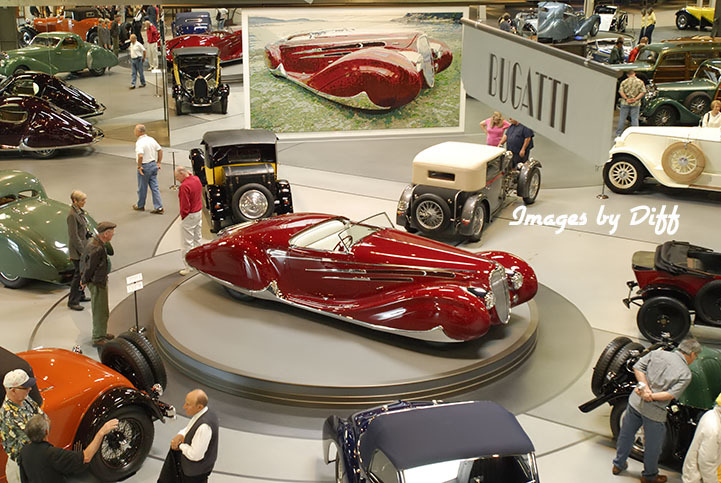 click photo to enlarge The beautiful red vehicle in the center of the picture to the left is a 1939 Delahaye 165 V12 and must be seen to be believed. 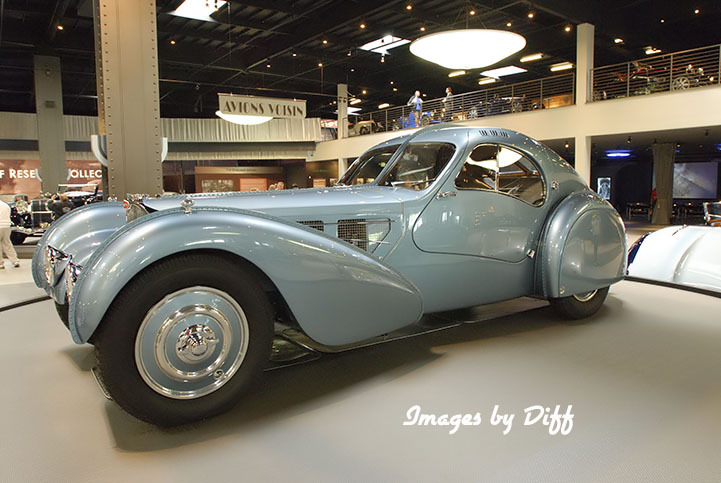 The vehicle in he lower left is the 1936 Bugatti Type 57SC Atlantic and there are only two in the entire world. The other one is owned by Ralph Lauren. 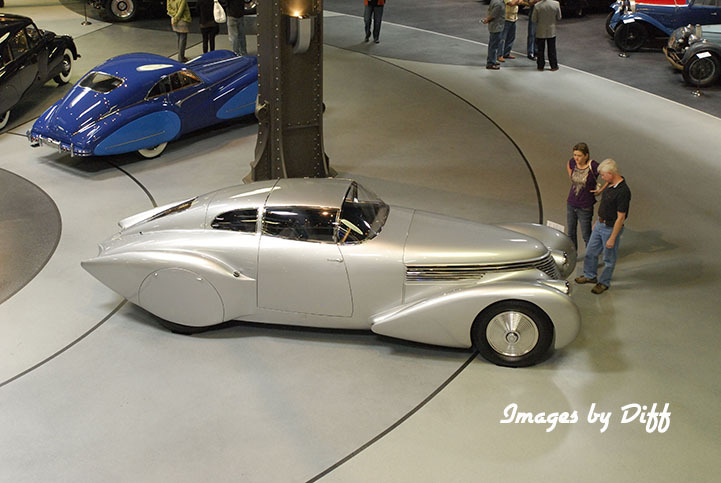 The cars are wonderfully displayed with no barriers. You can walk up and peer in windows and walk around the vehicles from all angles.